Improve quality of care and safety for residents. Stop harmful wandering while allowing residents to move freely throughout the facility. Even track personal items like laundry, food, or medication – all with complete accuracy. More than half of long term care residents have been diagnosed with some form of dementia/Alzheimer’s disease. It is estimated that more than 60% of people with Alzheimer’s will wander at some point during the course of the disease. But you can stop unsafe wandering. CYBRACare’s Resident Tracking System uses advanced EdgeMagic™ software and CENTRAK™ hardware combining RFID (Radio Frequency Identification) and patented new generation infrared (Gen2IR™) technology to create the Long Term Care industry’s most advanced RTLS (Real Time Location System) — designed to prevent residents from wandering and eloping as well as optimize workflow and improve patient care. How Can CYBRA Solutions Help? Improve quality of care and safety for Residents – stop elopements and harmful wandering with 100% accuracy while allowing residents to move freely throughout the facility. CYBRA’s system also allows staff members to act in case of an emergency using 3 customizable call buttons on their staff badges. Press one button to call security and another to call a doctor. Due to the high paced work atmosphere in long term healthcare facilities, the ability to record each procedure is a challenge that can cost you. Keep better records with CYBRA’s software. The CYBRACare RTS can issue alerts for residents who are in proximity of another resident that may be a cause of concern to staff. It can also give the location of a resident who wanders too far. In long term care, tracking personal items is important, too. Keep laundry from getting mixed up, or make sure there are no mix ups with patient’s medication. CYBRACare RTS ensures that expensive equipment won’t get lost and is constantly being utilized in an optimized fashion to maximize workflow, and prevent the purchase of unnecessary new equipment. Here’s How Peace of Mind Works. The CYBRACare Resident Tracking System uses enhanced resident wristband technology. The system alerts staff and gives the location of a resident who wanders too far from a designated area or comes close to a sensor at an entrance or exit. You set rules by resident (or resident category) for which locations (and at what times of day) warnings need to be issued. For instance, a particular resident may be free to roam the premises during the day – other than certain dangerous areas such as the roof – but may be restricted from leaving his room at night. Here’s How To Sleep at Night. If a resident “elopes,” and leaves a facility, an operator can be subject to heavy fines by state and federal regulators, as well as potential lawsuits by family members, increases in liability insurance premiums, and negative publicity resulting in lost business. Just one elopement episode has the potential to put a facility in jeopardy and restrict new admissions. A multi-platform web-based solution for developing RFID and RTLS applications, EdgeMagic software is a robust software environment for CYBRACare RTS. EdgeMagic wizards walk the operator through the process of mapping locations and defining the perimeter, creating resident profiles, setting warning levels and alerts, configuring button and LED definitions, and defining system actions and reports. 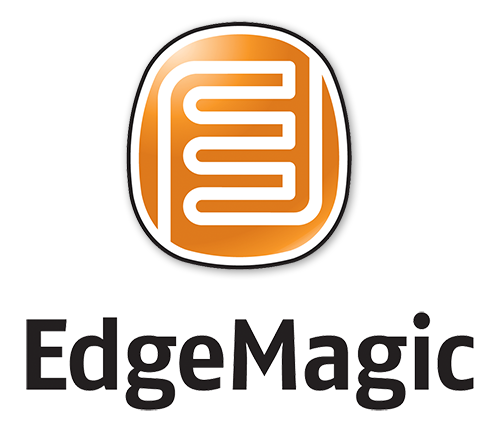 EdgeMagic is scalable. Start small and grow. Start with residents. Add equipment or medications. It’s like RTLS on demand. Optional EdgeMagic Dashboards make it easy to visualize RTS data in context. You can analyze performance, spot trends, and act on the improved operational intelligence.